Bloomsbury USA Childrens, 9781681190761, 384pp. From Danielle Paige, the New York Times bestselling author of Dorothy Must Die, comes a re-imagining of "The Snow Queen" fairy tale. "A lush and addictive fantasy woven from threads of magic, romance, and adventure by a master storyteller. Danielle Paige raises the bar with Stealing Snow." "A magical, exciting adventure full of secrets, thieves, and witches, with a unique, fresh twist on an old legend." 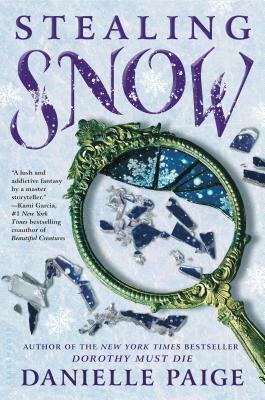 "Just as a blizzard turns a familiar landscape into something both dazzling and deadly, Stealing Snow transforms the 'Snow Queen' into an adventure that's hauntingly beautiful and dangerously seductive." "Eerie, edgy and enchanting, Stealing Snow will transport you." "One of my favorite fairy tale retellings! Danielle Paige is a master storyteller!" Danielle Paige is the author of Stealing Snow and its prequel novellas Before the Snow and Queen Rising, as well as the New York Times best-selling Dorothy Must Die series: Dorothy Must Die, The Wicked Will Rise, Yellow Brick War, and seven prequel novellas. Before turning to young adult literature, she worked in the television industry, where she received a Writers Guild of America Award and was nominated for several Daytime Emmys. She is a graduate of Columbia University and currently lives in New York City.